It can be used either dry or wet, so it can be used in the shower. It is cordless, so you can use it without getting tangled in the cords. It can be used up to 10 times without charging it again. It has a convenient charging station that isn’t bulky. It has a easy “On” button or switch. 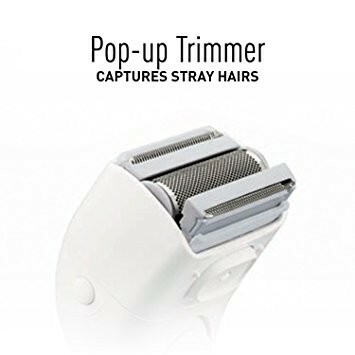 It includes a pop-out trimmer to catch stray hairs. Some customers say this razor can hurt the skin if you use too much friction. It should be fully charged when you use it or it doesn’t work quite as well. Some customers say the shave isn’t close enough as a regular razor. Overall, you are getting a good product for the money. The razor is made well, and it keeps its charge for a long time. You might not get a close shave, but it still gets the job done. 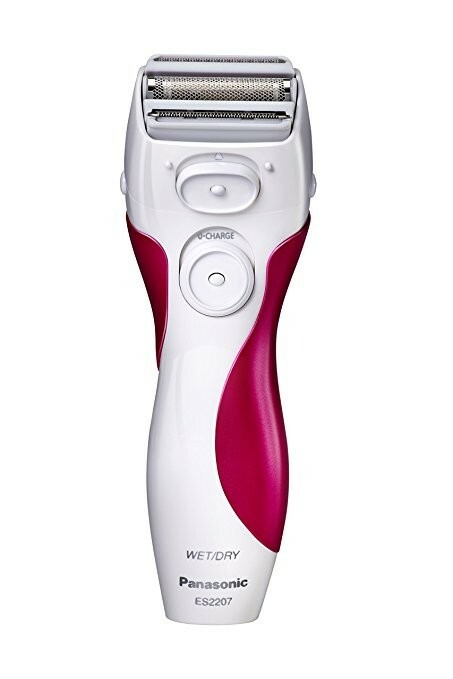 If you’re looking for a different razor with a closer shave, look ahead to other reviews. Again not the closest of shaves, you can't beat a razor! And that goes for many on test. At least this one is cost effective alternative and looks great too.